This new series UNWRAPPING THE GIFT OF CALVARY will dig below the surface of the death of Jesus Christ on the cross to glean vital spiritual details not readily apparent upon first glance. Simply put, Calvary is all about life. A new eternal spiritual life. However, nothing about the gift of eternal life, made possible through Jesus Christ’s sacrifice on Calvary, is simple. Jesus Christ the man and God even shed drops of blood when He was in deep prayer concerning God’s will for Him at Calvary. Calvary was certainly not simple for The Father God, His Son in the flesh, or His Spirit. For the trinity, Calvary was multifaceted. Calvary was complex. Calvary was a sheer impossibility for the man in the flesh and could not have taken place outside of the realm of the supernatural power and presence of God. Calvary thwarted the sting of death by ushering an eternal victory (Hosea 13:14, 1 Corinthians 15:55). 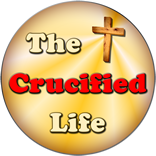 Eternal life is only possible through the finished work of Jesus Christ on the cross. Jesus Christ signaled His spiritual work was finished when He sat down at the right hand of His Father in Heaven upon His death, burial, resurrection, and soon after His ascension to heaven. The Bible was inspired by God and records Jesus Christ now found sitting on the throne of His Father in heaven in multiple places in scripture including Matthew 16:19, Acts 7:56-60, Colossians 3:1, Hebrews 8:1-2 and 12:1, and 1st Peter 3:22. 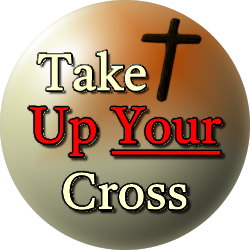 Calvary was God’s spiritual answer with His eternal transaction tendered on the cross at Calvary. It is the only pathway (John 14:6) available for life all mankind. Every man is afforded an opportunity for personally possessing this gift of eternal life through fellowship with God. Did you know that this gift of life was possible since the beginning? God did not just “pull eternal life out of His magical hat” when needed in the Garden of Eden. God is never surprised or ill-prepared for anything and everything vital for sustaining mankind in this world and the eternal realm. Did you know that Adam and Eve were divinely inspired by God to live forever? There was once no such thing as death. This perpetual life was possible; however, Eve did not follow God’s commandments and was disobedient. She failed to apply the one command God gave to Adam for both him and her to obey. She failed to resist the temptation of the clever serpent eating away at her pride and was easily led astray into eating of the Tree of Knowledge. Soon after Adam followed suit by eating of the fruit as well. Adam was not beguiled by the serpent but partook of the fruit this to save Eve from death. This is both a necessary act by Adam and for serving as a picture in the Old Testament of Jesus Christ saving mankind from death. Adam saved Eve from death just as Jesus Christ saved mankind from death. God’s hand was in both vital spiritual transactions. Please note failed obedience ushered in the presence of immediate spiritual death for Eve, and secondly ushered in death for Adam. Thirdly, since then every man is born in the image of Adam (full of sin and having a darkened heart condition) upon entering this world through birth today. Sin is natural in the heart of man. A heart that has the presence and power of God at work inside is supernatural in nature. Did you know that if the sun would have set on this one particular day in the Garden of Eden and God did not personally seek out the whereabouts of both Adam and Eve for the purpose of properly covering them with clothing and for mediating with sacrifices on their behalf, both would have physically died and there would be no such as eternal life? Genesis 3:7-9 (KJB) And the eyes of them both were opened, and they knew that they were naked; and they sewed fig leaves together, and made themselves aprons. 8 And they heard the voice of the LORD God walking in the garden in the cool of the day: and Adam and his wife hid themselves from the presence of the LORD God amongst the trees of the garden. 9 And the LORD God called unto Adam, and said unto him, Where art thou? Ever since sin was introduced through disobedience in the Garden of Eden sin has been involved in every human life at birth and in bringing about physical death as the natural end of life for sinful man. Each person born naturally faces both spiritual and physical death. There would be no such thing as living forever through new spiritual life. However, the intercession of God changed all that. God made a way, through the shed blood sacrifice of animals in the ancient Old Testament times, for mankind to find shelter or cover themselves from their problem of sin. God named priests, from the tribe of Levi, as “official sin-bearers” whose spiritual job it was to come between man and God in the temple with the purpose of covering sin with shed blood animal sacrifices. Today, in this New Testament Age of Grace we have been given the possibility of having eternal life because the finished work at the cross of Calvary provided the necessary perpetual transaction for removal of sin. Now all mankind must do is choose to apply this gift of life made possible through the shed blood eternal sacrifice of His Only Son Jesus Christ. This supernatural spiritual opportunity makes living forever possible through the spiritual fuel of faith resting in the finished work of Jesus Christ. This transaction was made possible through the power and presence of God the Father who spiritually restores the souls of meek and humble mankind. Are you spiritually softened by God or hardened by the presence of sin inside your heart? A soul is softened by the supernatural power and presence of God alive and working inside it. A soul which is sin filled and spiritually dead, both in this world and forever in the eternal realm, is hardened towards sin. One heart condition leads to eternal life in fellowship with God, while the other leads to eternal damnation and eternal separation from God forevermore.